Wondering what to do with your gaggle of ghouls this month? 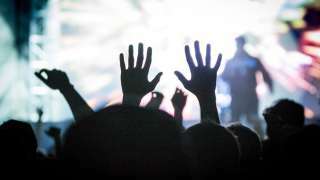 Here&apos;s a list of 13 Halloween Happenings sure to frightfully delight. There are a few haunted houses around, but only one Haunted Village! The most anticipated haunting of the season is at This Is the Place Heritage Park, where you can experience an entire village of hair-raising haunts. Ghost hunters say the place really is haunted, but why take their word for it? All the itchy fingers are waiting for you...in the dark of the park. The Leonardo has been haunted! In conjunction with its current exhibits, Spooky Science and Perception, The Leo wants to show you a terrifyingly good time and help you find your inner mad scientist. Breakfast with a Witch is a delightful way to celebrate the season with your wee ones. This year&apos;s show is Pirates of the Scare-abbean. Batten down the hatches and set sail with the Gardner Village witches as they entertain, mingle, sign autograph sheets, and take photos with your children. It&apos;s not scary at the Park during the day, so put on your costumes and come to the Village for a fun-filled event! Visit the Story Witch and go trick-or-treating, and with pony rides, train rides, and take-home crafts your little ones will want to return for Little Haunts year after year! 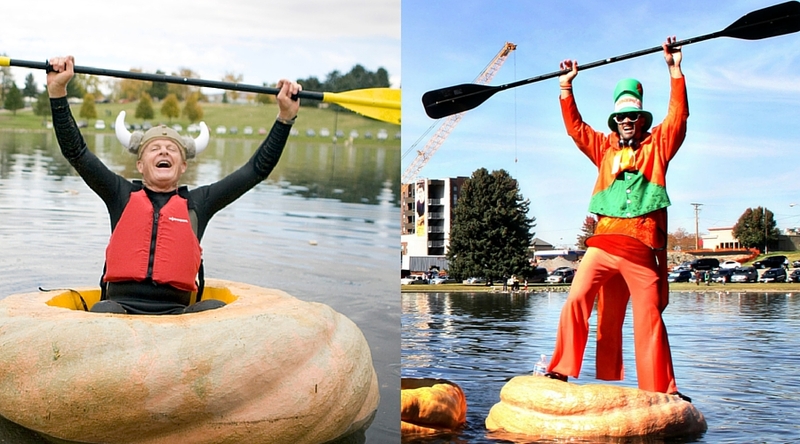 The 5th Annual Regatta is part of a series of events centered around growing GINORMOUS PUMPKINS. 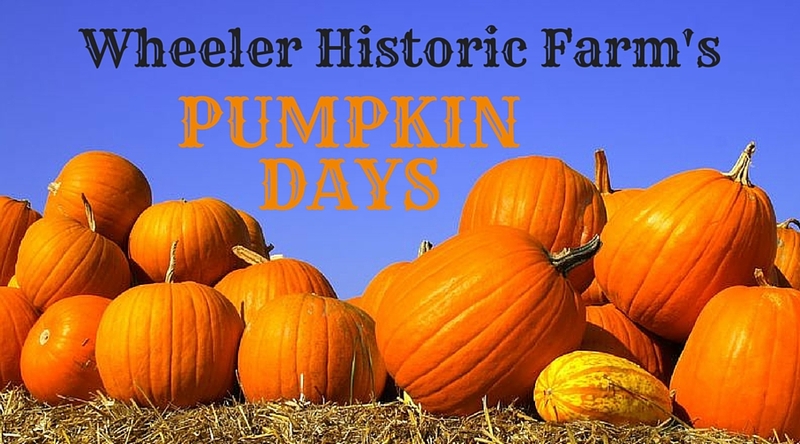 When we say "ginormous" we mean 600- to 1,700-pound pumpkins capable of holding one or two fully grown costumed "adults" who will carve them, load them into the water, and attempt to row them without sinking to the bottom of the pond. Journey to a realm of myth and magic as you visit the land of King Arthur and his Knights of the Round Table. Although you may have heard of Guinevere, Lancelot, and Merlin, you may not realize the large part the natural world plays in their stories. Explore the Garden and discover more about nature’s hidden ties to the people and places of Camelot. With crafts, activities, light displays, and more, this is an event you definitely don’t want to miss. Garden guests will also have the opportunity to experience the story of Camelot through a special immersive dance-theater performance happening each evening. 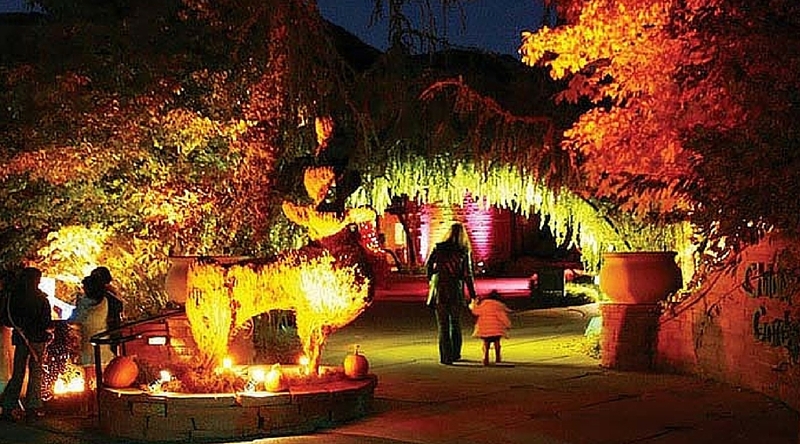 Become a part of the legend and join us for Garden After Dark, an indoor/outdoor, costumed, and kid-friendly experience in the Garden to celebrate Halloween. 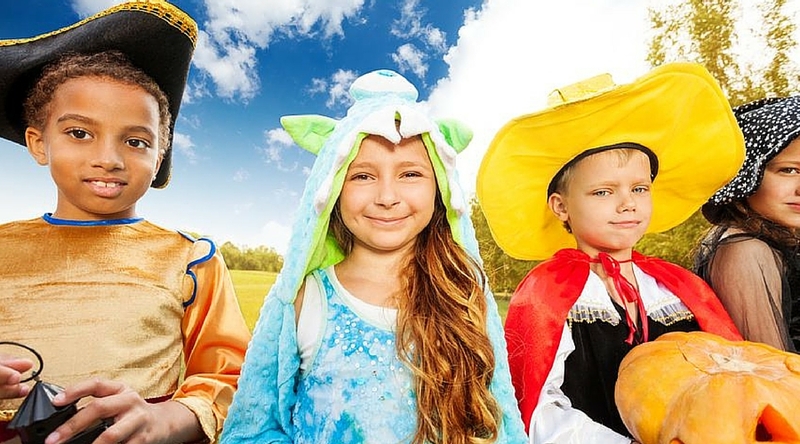 Every October, Hogle Zoo puts out a casting call for all princesses, cowboys, superheroes, and wild things! Kids 12 and younger can come in costume to trick-or-treat at various booths set up throughout zoo grounds for Boo at the Zoo. There will be lots of candy, and lots to see and do! Trick-or-treat bags will be provided, or bring your own and join us for one of the biggest events at the zoo! All Zoo Booster and Booster Deluxe members will receive early admission to Boo at the Zoo at 8 am. Start working on your scary, spooky, creepy pinewood derby car and see if you can scare the competition off the track. There will be food and treats to keep your energy high through the whole race. 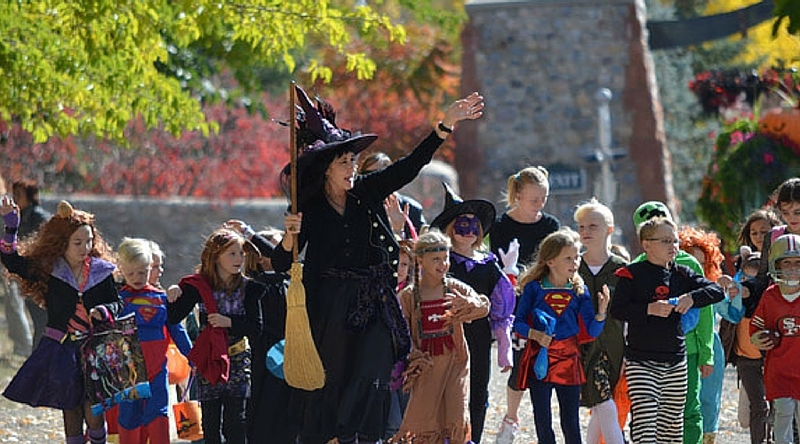 There will also be a kids&apos; costume contest, so kids of all ages can dress up for this monsterous derby in the haunted mountains of Little Cottonwood Canyon. 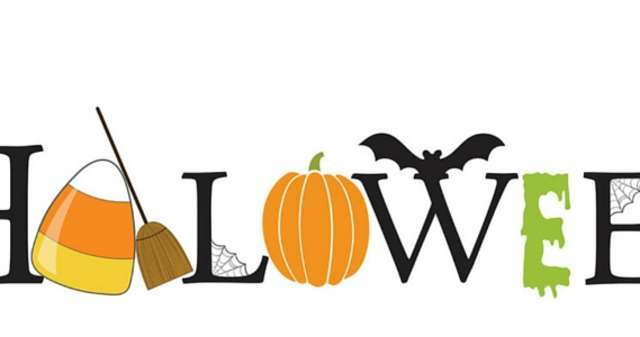 Salt Lake County Library&apos;s Costume Swap will take place Saturday, October 17 from 10 am to noon at the library&apos;s Viridian Event Center in West Jordan. Want to recycle and reuse by swapping out your gently used Halloween costumes for a different one? Drop off your costume at a Salt Lake County Library branch between September 30 and October 15 and receive a token to bring to the Viridian Center on October 17, where you can redeem it for another costume of your choosing selected from all the other costumes brought in for the "swap." If you&apos;d like to simply donate a costume, you&apos;re welcome to do so as most remaining costumes will be donated to local charities. If you don&apos;t find a suitable "swap" on October 17th, you&apos;ll receive a book-sale coupon good for a one-time use of up to $5 at your local branch&apos;s book sale. 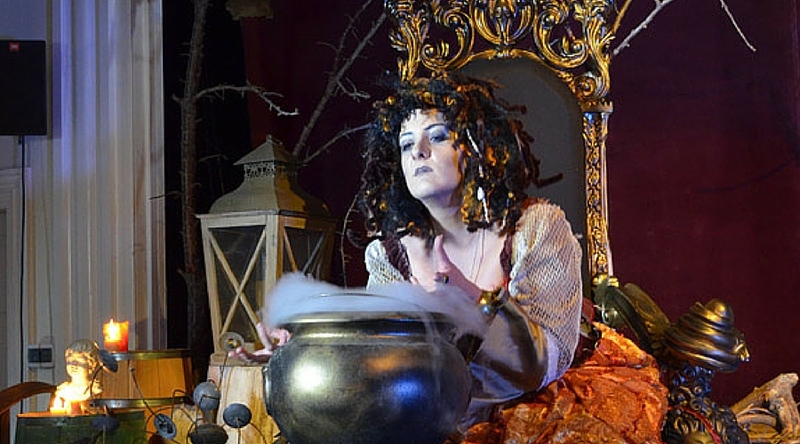 Witches have taken over Gardner Village and unleashed a hodgepodge of mischief and mayhem. The Village needs your help! Using the short clues on your hunt form, track down some of these troublemakers. Successful hunters (ages 12 and under) will be rewarded with the best chocolate chip cookie in town for 50 cents at the Naborhood Bakery. 12. A Wizarding Halloween Spooktacular! Join all the young wizards and witches at Abravanel Hall for a mystical performance featuring the music of Harry Potter and other magical favorites. Don’t forget to wear your best Halloween costume for your chance to win great prizes. Cornbelly&apos;s is Utah&apos;s most popular Halloween destination. You&apos;re sure to be lost, laughin&apos;, and lovin it in this world-famous corn maze. With 40+ fall and haunted attractions, Cornbelly&apos;s is proud to once again offer plenty of farmtastic fun for the whole family!